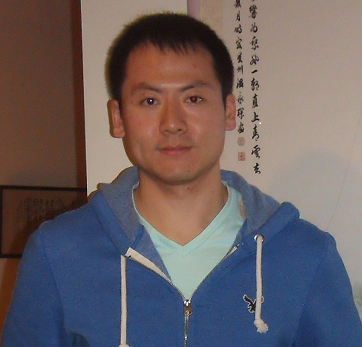 LTI post-doctoral researcher Zhigang Ma received the SIGMM Outstanding Dissertation Award for best multimedia thesis at the 2014 ACM 2014 Multimedia Conference. LTI post-doctoral researcher Zhigang Ma received the SIGMM Outstanding Dissertation Award for best multimedia thesis at the 2014 ACM 2014 Multimedia Conference, held Nov. 3–7 in Orlando, Fla. The award, presented by the ACM Special Interest Group on Multimedia, honors a researcher whose Ph.D. thesis has the potential for very high impact in multimedia computing, communication and applications, or gives direct evidence of such impact. It includes an honorarium and certificate of recognition, as well as public recognition on the SIGMM website and in its newsletter. Ma, who was a visiting student at Carnegie Mellon twice during his Ph.D. studies at the University of Trento, Italy, earned the award for his work, "From Concepts to Events: A Progressive Process for Multimedia Content Analysis." According to SIGMM, the award committee chose Ma's dissertation because "the proposed framework based on mathematical theories has great potential for developing real-world applications as well as addressing myriad technical challenges." Although he completed his Ph.D. studies in Italy, Ma collaborated closely with LTI researchers to investigate issues surrounding multimedia event detection during his doctoral studies. After earning his Ph.D., he joined the LTI as a post-doctoral researcher to continue that collaboration. In addition to the SIGMM Outstanding Dissertation Award, Ma's thesis has also earned the 2014 Best Ph.D. Thesis in Pattern Recognition Award from the Gruppo Italiano Ricercatori, Italy; and the 2014 Best Ph.D. Thesis in Information Communication Technology from the University of Trento, Italy. For more on Ma's honor, visit http://www.sigmm.org/news/best_thesis_award_2014.